The Low-Rise Apartments is a special new housing type that provides single-story living outside of a multi-story Tower Building. These 3-story stacked flats all face directly onto a main entry drive or a perimeter street, providing front door character and enhancing the pedestrian experience. Each 11-unit apartment building includes a covered carport with direct connection to the lobby and elevators. There is a grand sense of intimacy to these homes with an upscale apartment context. 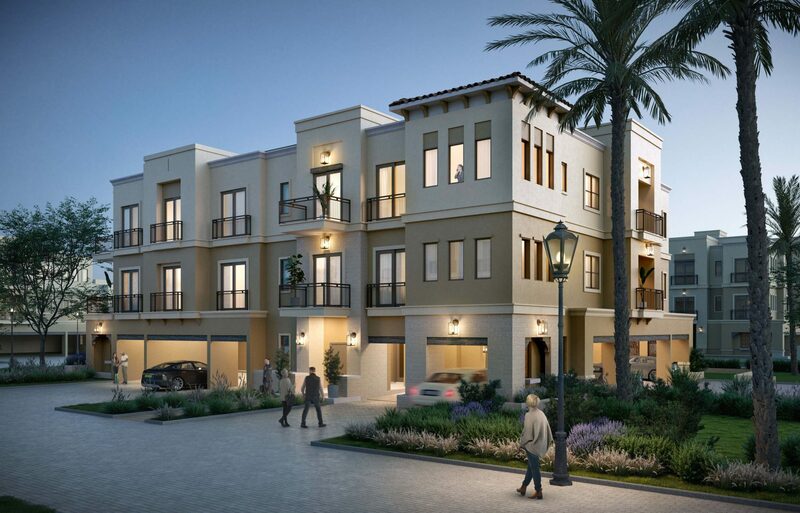 All units provide large private balcony or patio spaces and will have an attractive Contemporary/Mediterranean architecture design that will complement the existing townhomes. 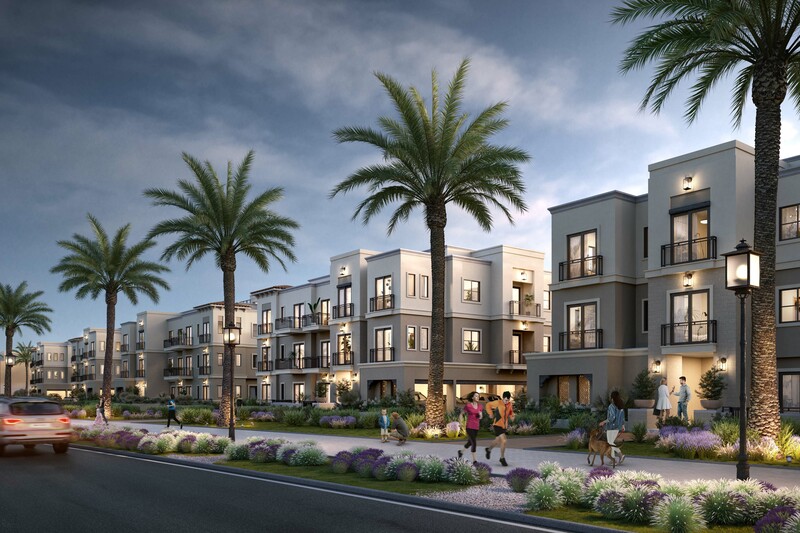 These apartments are all located within the townhome private community gates and will have the added advantage of private road access and use of the neighborhood recreation facilities.